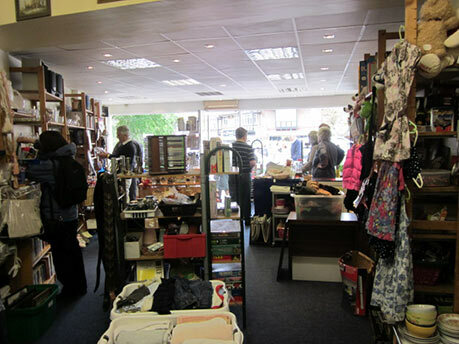 We are delighted to announce that the grand opening our new charity shop was the 1st June 2013. Please come along and support us. 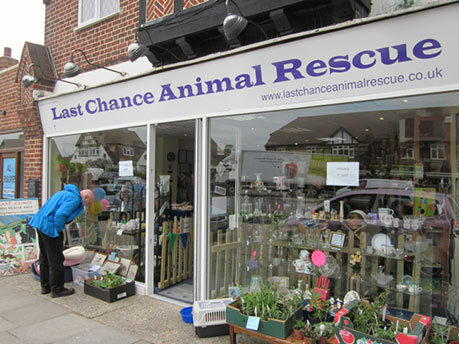 The loyal band of volunteers do a fantastic job raising funds for the Rescue Centre - please come along and support us, it is an ‘Aladdin’s Cave’ and there is probably something there to suit everyone! The shop is open from Tuesday to Saturday 9.00-4.00. All the items for sale have been donated and we are extremely grateful to all supporters who have contributed. We would also be delighted to receive further goods, a list of suggested items can be viewed alongside. We would ask that any items are not left on our forecourt when the shop is closed. It is ALWAYS stolen! It also causes complaints from the local residents; a situation which we are anxious to avoid. Please contact us using our contact form, or you can call the shop on 020 8295 3278. Due to space issues at the Charity Shop, please telephone us before making a journey to ensure we are able to accept your kind donation. Jewellery including broken costume jewellery and scrap gold and silver. Unused make up, toiletries and perfumes. Clothing and bedding - even those that cannot be sold on the shelves as we get lots of money to from the rag man every week! Shoes - again, any condition, as long as they are a pair for the same reason! Bicycles - in working order please. With 'Give as you live', thousands of stores will donate to us when you shop online - Click here.